Okay — before I land myself in any trouble, let’s clear this up. My drop-dead gorgeous wife is a model and a tennis champion. Clear? 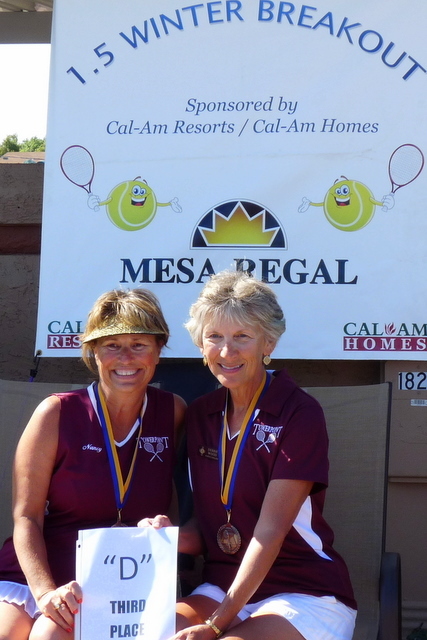 Debbie and Nancy participated in a three-day tennis tournament for the 2nd year players. And they won bronze medals for their great playing. They played well and had fun. Why do I get to share space with a great tennis player? The answer is only a little complicated — but I’m not much to blame for Debbie’s successes. She deserves all the credit and I’m too happy to honor her hard work and good genes. 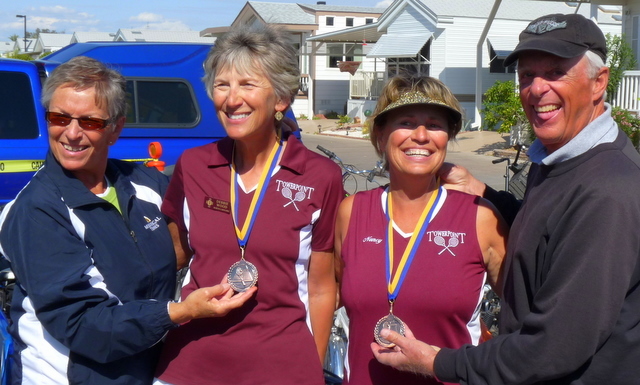 Debbie practices hard, plays well, and earned this great win at the three-day tournament last weekend. 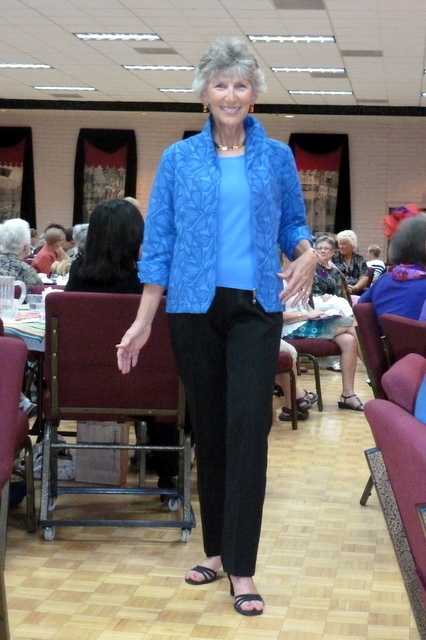 Way to go, Debbie and Nancy!